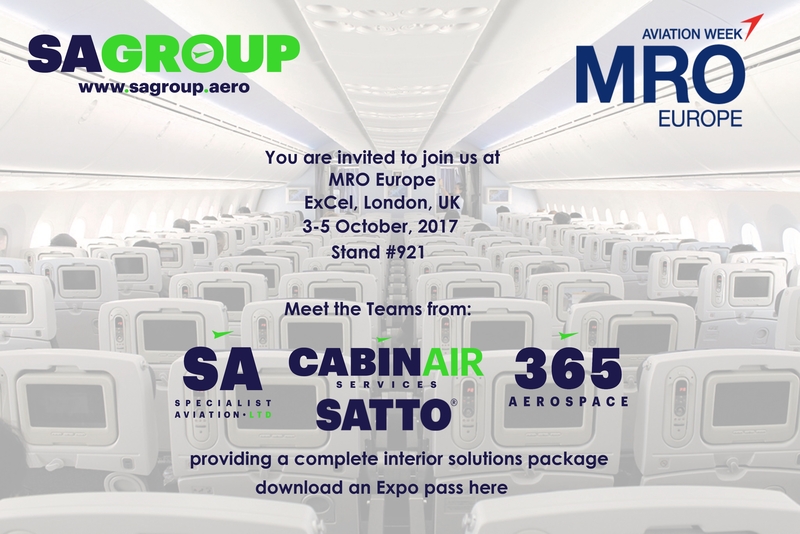 We look forward to welcoming you at London ExCel for Aviation Week's MRO Europe expo. Representatives from all the SA Group Companies will be there with the Cabinair team. For a free Exhibitors pass, click on this link. We're on Stand 921 if you'd like to pop along, or if you'd like to pre-book an appointment with any of our team, email sales@cabinair.aero.